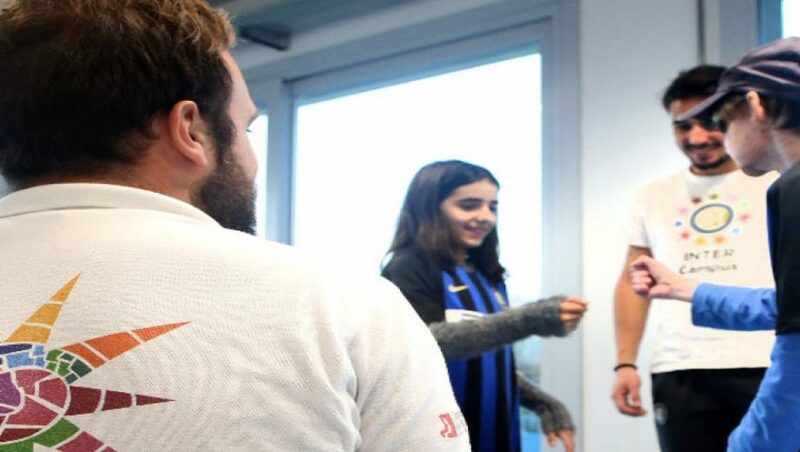 Inter Campus, the foundation of Inter Milan organised activities on the pitch for children involved in the ‘Giocare Aiuta a Guarire Meglio’ campaign, which promotes football as a therapeutic tool. The children from the Centro Maria Letizia Verga got to enjoy another day of football on the pitches at the Suning Youth Development Centre in Memory of Giacinto Facchetti as they got involved in a training session held by Inter Campus Coaches. Around 20 children recovering from leukaemia and lymphoma gave it all that they had out on the pitch: they ran, jumped around and enjoyed themselves with determination and energy. On the International Day of Sport for Development and Peace, a day which is celebrated throughout the world on the 6th of April, this was an extraordinary testament to how important sport is in terms of the values it promotes, including sportsmanship, teamwork and respect for opponents. Sport also plays a vital role in activating substances within the body that help with the healing process. To cap off this special day, there was a visit from former players Francesco Toldo and Cristian Chivu, who certainly haven’t lost their desire to play: the children joined them in shooting practice, making saves, taking penalties and passing the ball about.